Together with the new yearcelebrations at the start of 2019, Platinum Realty Investments and One Hospitality Management marked the opening of Platinum One Suites, introducing the apartment-suite concept in Colombo. The property is part of a real estate venture by Platinum Realty Investments, that was recently established as Platinum1, and is a project partnered by leading local and international industrialists and developers. Designed and built with the infallible support of international powerhouses, Platinum1 offers guests, residents and investors the security and assurance of a dependable, guaranteed success. “Platinum Realty Investments has taken a leap forward, venturing into hospitality management services as One Hospitality ManagementLtd.,” said One Hospitality ManagementManaging Director Kishore Reddy. 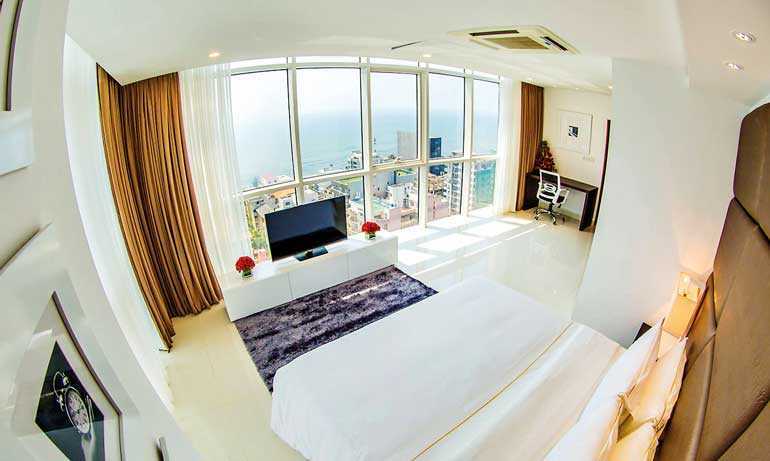 Conveniently located at the corner of Bagatalle Road along the bustling Galle Road in Colombo, the 20-story property boasts 66 expansive spaces, consisting of three-bedroom and four-bedroom suites; out of which 26 suites are owned by residents and 40 will be accessible for locals and tourists, complete with housekeeping, concierge and butler services. Designed for guests who appreciate refined luxury, Platinum One Suits offers cosmopolitan elegance and luxury to suit the lifestyles of today’s discerning travellers and its central location gives easy access to all of Colombo. 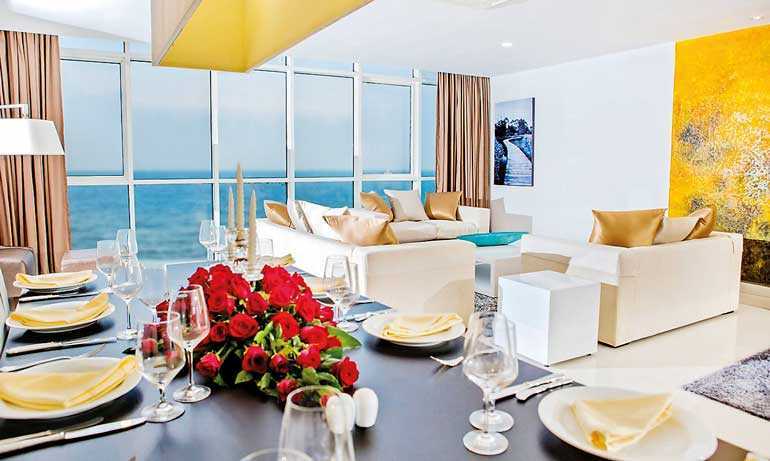 Platinum One Suites are complete with artistic interiors, high-end furnishing as well as impeccable views of the ocean and city. Star-class services, luxury amenities and a feeling of infinite space and comfort are the stage for unforgettable moments alongside friends and loved ones. All apartment-suites are fully furnished and are available in five categories; Superior City View three-Bedroom Suite, Deluxe City View three-Bedroom Suite, Premium City View three-Bedroom Suite, Ocean View three-Bedroom Suite and Ocean Premier four-Bedroom Suite. 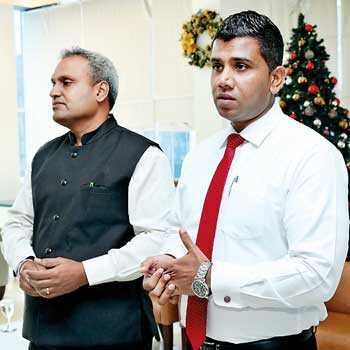 “Platinum One Suites will certainly grow into becoming one of Sri Lanka’s premier 5-star accommodation and lifestyle venues,” said Platinum One SuitesChief Operating Officer Mahesh Amarasinghe. The fourth floor of Platinum One Suites is dedicated for recreation and has a swimming pool, a sun deck, a state-of-the-art gymnasium, sauna, a luxury spa, a restaurant, a lounge and bar, a coffee shop, a meeting room and private event spaces for business meetings, corporate events or intimate gatherings. Platinum One Suites also offers apartments for those who wish to invest in a unit. The benefits in this investment includes five-star hotel management for the entire building, with a guarantee that the standards expected of a five-star establishment will be maintained throughout, in all areas. The investment opportunity also offers a function by which an investor can purchase a unit and lease the apartment to One Hospitality Management, earning a guaranteed return while the unit is maintained by the management.